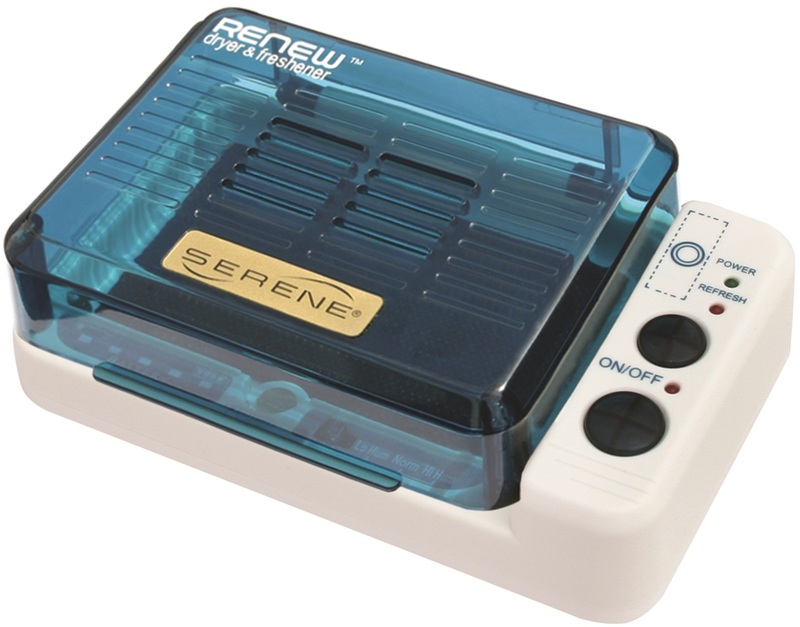 The Serene Renew Hearing Aid Dryer and Freshener uses gentle dry heat to remove moisture and condensation. A powerful UV light inhibits bacteria growth that can cause itchy ears. It’s environmentally friendly.